Our partner Virtru have recently joined forces with ICONIQ, to empower people to take back control of their data. Nowadays people are in a crisis of trust data breaches are more common the stream of leaking information is becoming a real issue. That’s why the brothers Will and John Ackerly started the Virtru platform. With Virtru’s core technology, Trusted Data Format (TDF), is becoming an industry standard for exchanging data in an easy-to-use but secure way. What led to the ICONIQ and Virtru Partnership is the belief of the ICONIQ team in Virtru’s efforts to help restore trust on the internet. Because to restore this trust we all need to work together. As a focus of ICONIQ is to create a positive societal change by leveraging truly unique technologies, a focus which is in line with the Virtru objective. Why Why are we giving up our privacy for convenience? People working from anywhere on any device made by new tools and technology to create a culture of collaboration. We are creating, storing, sharing and accessing data from anywhere in the world. But with all this also comes a new risk, data is traveling everywhere with us from point A to B always available. In a study by the Stanford University it was clear that everybody wants privacy but it is easily thrown out the window when they get something in return (Futurity). This is an example of what happens to personal data but this is also happening on larger scales in many companies. How secure is your privacy and most sensitive information? This led the team at Virtry to remove the tradeoff between convenience and giving up privacy, so businesses and individuals can reek the benefits of the Cloud-enabled world without giving up control of their information. Recently an outburst on ‘efail’ vulnerability in Legacy encryption technologies like PGP and S/MIME implementations came to light. 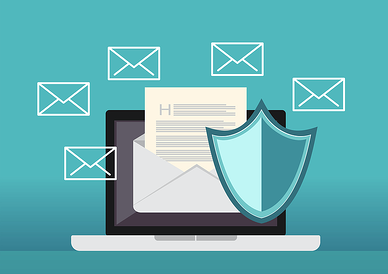 The ‘efail’ exploit allowed the content of PGP and S/MIME encrypted email to be leaked through applications like Microsoft Outlook, Apple Mail, and Thunderbird (‘efail’). Putting a lot of enterprises at risk of losing control of their sensitive emails and data. Where Virtru’s Trusted Data Format standard is resistant to these ‘efail’ and other types of vulnerabilities. Based on open standards to enable interoperability. Lets end users send to anyone. Allows standard, secure integrations with tools like Outlook. There must be guardrails to ensure integrations implement security best practices to prevent exploits like efail. Provides dynamic access control — that is, the ability for end users and corporate administrators to change access privileges for recipients as needed. Does not require prior trust relationships or manual key exchanges. This just increases friction and prevents average users from protecting their email. Ensures that third parties, like cloud providers, can only access secure content with explicit consent. At Virtru, all encrypted email products and data protection solutions are based on the Trusted Data Format (TDF). The key management system, based on the open standard Key Management Interoperability Protocol (KMIP) allows dynamic access control. Where senders and administrators can revoke access, restrict forwarding, or set expiration dates on encrypted content at any time. These permissions can be changed in real time. The keys may be hosted in Virtru’s SaaS environment or by the customer. Finally, Virtru is end-to-end encryption. No third party, including Virtru, ever has access to encrypted content. 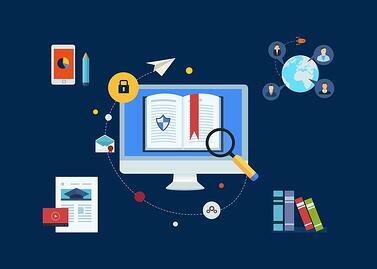 Over the years Virtru has never lost an enterprise customer, and that’s because they help solve the hard problem of protecting information without making it hard for users to use. Because if it becomes to complicated for a user or they have to make to many steps experience tells us that it will probably not be used. That is a key driver why user experience is at the heart of the product and they have now grew over 8,000 customers in the last three years. Because protecting companies most sensitive information is something that needs to be on the agenda. These are just some examples of companies trusting in Virtru and taking back control over their data. Because it integrates with platforms from Microsoft, Google and others to bring powerful, cross platform, and easy-to-use data protection to the world’s most popular business email platforms. Now that Virtru has partnered up with ICONIQ the coming months there will be heavily invested in making end-to-end data protection accessible to everyone. They will primarily focus in four areas (Virtru); 1. Product innovation, 2. Technical and strategic partnerships, 3. Geographic and market expansion, 4. Promotion of open standards for data protection, TDF in particular. They will expand beyond email to protect information wherever it’s created, stored, or shared. Examples being, supporting cloud file storage and sharing applications such as Google Drive and Dropbox, chat applications such as Slack, as well as other commonly used SaaS business applications. No single company can solve the crisis of trust alone. By working together in diverse but motivated parties to restore the trust in the cloud. Already working side-by-side with technology and platform partners such as Google, Microsoft and Amazon to help some of the world’s largest enterprises move to the cloud while retaining full control of their data. Having dedicated personnel and support for local languages for Virtru’s customers creating this together with partners especially in the EU and Asia Pacific region. And by working with customers and partners for the healthcare and financial services industries to develop solutions to meet their particular data protection needs. At the core is the Trusted Data Format (TDF), an open standard for data-centric security. The TDF ensures interoperability across systems and ensures our users are not locked in to a proprietary standard. By investing heavily in the TDF ecosystem, making it even easier for software developers to leverage this open standard via SDKs and APIs. Virtru is investing heavily to serve many more customers around the world with new, innovative products and partnerships. With the mission to restore trust and control to the world’s data owners. So to get back to an earlier question, how safe is your data and what are the measures you’re currently taking to protect it? Talk with us to see how Virtru can help you keep your data secure.